“We do!” Weddings can be a family-crushing endeavor; and they shouldn’t be. 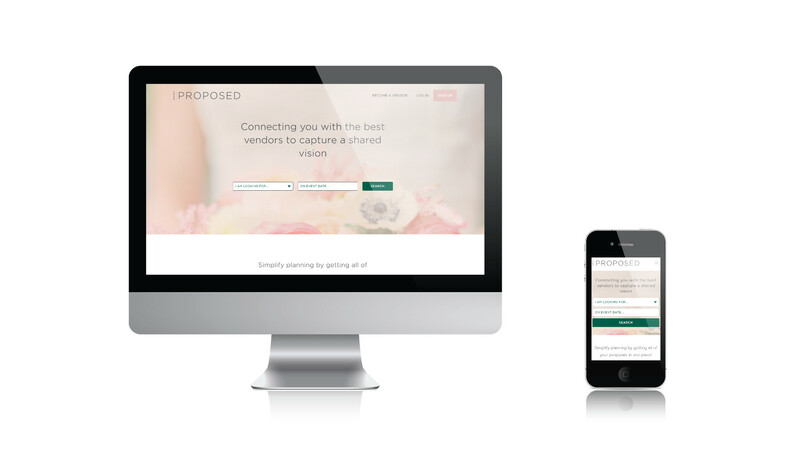 Simply Proposed was born of their vision for simplifying the wedding planning process. They help both couples and vendors simplify the process of wedding planning. SP asked Replace to create a website that will change everything about the way clients and vendors do the wedding business. We simply said, “We do!” As a new method for wedding planning, Simply Proposed takes one of your most important life decisions and streamlines the unknowns. Couples can immediately get insight on who is available for their big day. All of the couples’ event information is stored in one place on the website—no more keeping track of hundreds of emails or updating a complicated spreadsheet. Our long-time development partners and friends at Room 34 married an amazing vendor platform with a stellar User Experience. The result is a proposal you cannot refuse.